V8 Dune Buggy Rental Tour – 450 HP Corvette Engine – 4 Seats – Drive It Yourself Or Be Passenger! One of a kind in the UAE! This Sand Car will bring you to your limits! Be The Driver: You drive a real V8 Dune Buggy with an instructor riding along as your navigator. Your personal instructor is offering encouragement and some handy tips on car control, drifting and racing over impressive dunes. Be The Passenger Let our experienced instructor chauffeur you through the Dunes. If you like fast or smooth, sight seeing or just Dune Bashing, all is possible. 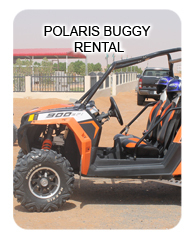 Custom Made V8 Buggy Tour Tell us your plans with the Buggy and we will make it possible. | Please Call or Email us for individual plannings and rates. 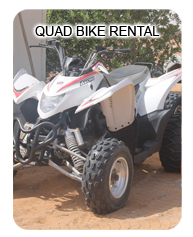 Copyright © 2016 Quad Bike Dubai Packages. All Rights Reserved.